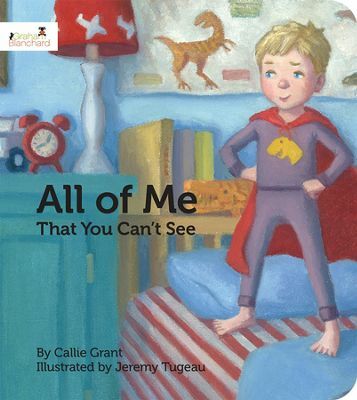 All of Me That You Can’t See by Callie Grant is one of the Absorb Series books published by Graham Blanchard. It’s a hardcover book geared at ages 3-6. In it, a little boy describes the things he can see when he looks into the mirror. He describes his appearance and then talks about how he is also made up of things that cannot be seen, such as his mind, heart, strength and soul. It’s a great beginner’s book for children and could be used to help teach about how each of us has a soul and how a child might identify it since it’s unseen. I give it four out of five stars and would recommend it to parents and teachers. I received this book from the Book Club Network and the publisher in exchange for my honest opinion which I’ve provided here.